If you are an avid user of the Windows operating system, then you must be aware of the various tools offered by the Windows operating system for the production of music, videos, etc. However, such tools which are provided by the Windows operating system, generally free of cost to all the users are not enough or up to the mark which is required for a good quality music production. Hence there arises a need for the best music making software which can be used on your existing operating systems to enhance the quality of the music production. This software, Audacity is one of the best music making software for the Windows platform. It's used by millions of people across the world and is built for a variety of platforms apart from Windows. You can use this software even if you are a user of Linux or Mac OS as well. Audacity finds itself in the list of best music making software because it supports almost all the type of audio formats and can be edited as per the needs and requirements for different occasions by the user without any hard technical guidance. 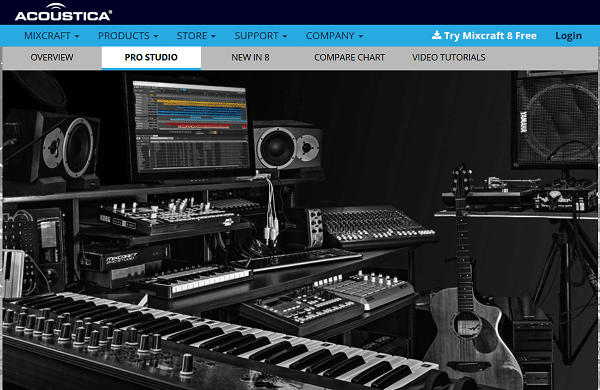 However, for most efficient working it's recommended to use 49 Key MIDI Controller & you can find an in-depth comparison of some of the best on this page. 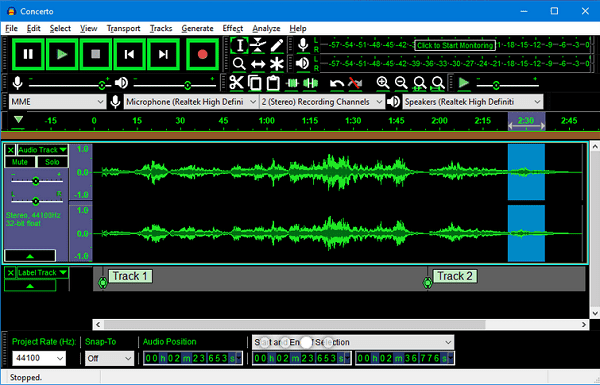 This software provides for the recording of sound and music from various sources and then it also facilitates the cutting or copying of the audio as it is displayed in waveform which makes it easy to trim the sound and music. Also, the features such as fine-tuning of the treble and bass or the application of effects on the music are readily available for use. This software is entirely free to use for the users which makes it highly affordable. This brilliant work of the developers has made it be known as the most demanding software for production of music and is highly regarded as the best music making software for windows. Mixcraft Pro has a very diverse sound effect of 21 musical instruments and also the virtual effects of more than 50 types that are available for use to all the users. This software has been built for the Windows operating system and allows a large variety of features such as pitch correction, loop creation, etc. This also allows the users to create and upload the files on popular social media sites as well. If there is a tool that can be said to be the most consistent in being called as the best music making software, it has to be FL Studio. The sole reason for the consistency of this particular tool is the features offered by FL Studio which have always been able to attract the users who have time and again chosen to stay with this brand. When using this music making software, the only thing you need to produce a piece of excellent quality music is some time and efforts. Apart from that, the FL Studio is a tool which allows all of its users to record, edit and add effects to their music at any time or place as they please. The sound recording and sound mixing techniques were never so easy without this particular tool. Also, what attracts the customers of the FL Studio is its fantastic support on the Windows operating system and even the automatic upgrade system which means, you need not to pay again and again over the years for the same software in the name of buying updates. The company updates your software with the latest version each time an update is released without charging you a penny. Such amazing features are the main reasons why FL Studio is so good in the list of best music making software. If you are a learner or an educator, then this music making software is the best tool that you can find in the market at present. This software is free to use and both the students and teachers can use it. The users would be sent a verification code and upon entering that code, the users can start using the tool for free. Avid Pro allows users to learn the basic and advanced techniques of music making in a simple manner. The software supports almost all the audio and video formats which are popular nowadays. The editing as well as mixing the sound with such a software which is at par with the industry standards is indeed worthy of being in this list of the best music making software. Acid Pro is also one of the best software which can be used for the professional production of music. It is available for the Windows Operating System and supports almost all of the audio and video formats. However, this software would be a gem only for those who want to put in their creativity for the production of music. This software has been designed to turn the virtual and creative ideas of the people into a reality. The real-time pitch stretch technology used in this software is highly useful in making loop-based music with high quality. These were the best software for music making on the Windows operating system. However, this list is not at all exhaustive and many more tools are also available in the market.